Rank and organization: First Lieutenant, U.S. Army Air Corps, 359th Bomb Squadron, 303d Bomb Group. Place and date: Over Vegesack, Germany, March 18, 1943. Entered service at: San Angelo, Tex. Born: September 25, 1921, San Angelo, Tex. G.O. No. : 38, July 12, 1943. For conspicuous gallantry and intrepidity above and beyond the call of duty in action with the enemy over Vegesack, Germany, on 18 March 1943. 1st Lt. Mathis, as leading bombardier of his squadron, flying through intense and accurate antiaircraft fire, was just starting his bomb run, upon which the entire squadron depended for accurate bombing, when he was hit by the enemy antiaircraft fire. His right arm was shattered above the elbow, a large wound was torn in his side and abdomen, and he was knocked from his bomb sight to the rear of the bombardier’s compartment. Realizing that the success of the mission depended upon him, 1st Lt. Mathis, by sheer determination and willpower, though mortally wounded, dragged himself back to his sights, released his bombs, then died at his post of duty. As the result of this action the airplanes of his bombardment squadron placed their bombs directly upon the assigned target for a perfect attack against the enemy. 1st Lt. Mathis’ undaunted bravery has been a great inspiration to the officers and men of his unit. The Medal of Honor and Purple Heart awarded to 1st. Lt. Jack W. Mathis are displayed at the National Museum of the United States Air Force. Jack Warren Mathis was born 10:30 p.m., 25 September 1921, at San Angelo, Texas. He was the second of three children of Rhude Mark Mathis, a salesman, and Avis Cannon Mathis. Mathis enlisted as a private in the United States Army, 12 June 1940, at Fort Sam Houston, San Antonio, Texas, and was assigned to the 1st Field Artillery at Fort Sill, Oklahoma. After six months service, he was transferred to the Air Corps as an aviation cadet and sent to Goodfellow Field, southeast of his hometown of San Angelo. He trained as a bombardier, as did his older brother, Rhude Mark Mathis, Jr.
Jack Mathis was commissioned as a second lieutenant on 4 July 1942. He deployed to Europe in September 1942. Mathis was promoted to first lieutenant in January 1943. 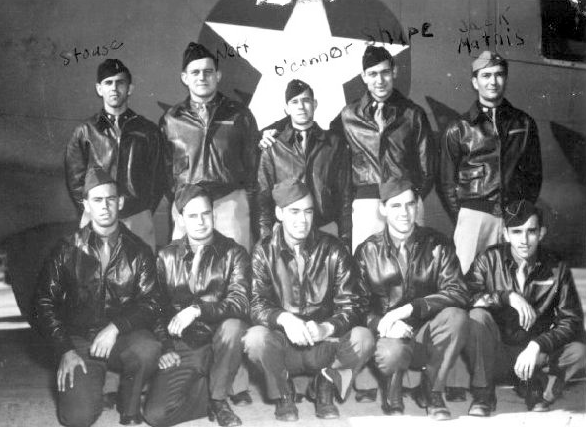 Lieutenant Mathis was assigned to the combat crew of a Boeing B-17F-25-BO Flying Fortress, 41-24561, of the 359th Bombardment Squadron (Heavy), 303d Bombardment Group (Heavy) at RAF Molesworth. The ship, named The Duchess, was under the command of Captain Harold L. Stouse. It carried fuselage identification markings BN T.
Because of the severe effect that German submarines were having against transatlantic merchant convoys, U-boat pens and construction yards were a high-priority target for bombers of the 8th Air Force. On 18 March 1943, the 8th launched Mission No. 24 against the Bremer-Vulkan-Vegesacker Werft submarine construction yard on the River Weser at Bremen-Vegesack, Germany. 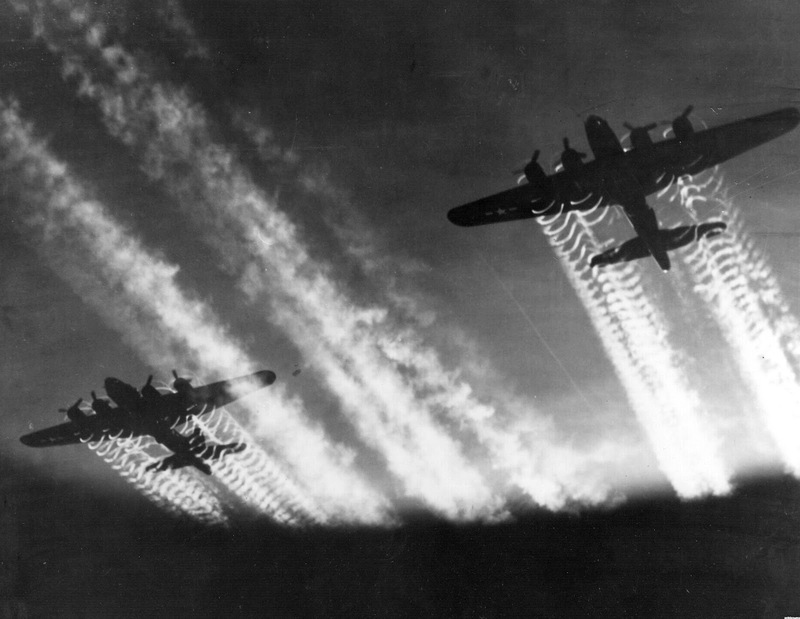 The attack force consisted of 76 B-17s and 27 B-24 Liberators. Each bomber was loaded with six 1,000 pound (454 kilogram) M44 high-explosive bombs. The plan called for bombers to drop from 24,000 feet (7,315 meters). Each squadron would release their bombs simultaneously. Mission No. 24 was Jack Mathis’ fourteenth combat mission. He was the lead bombardier of the 359th, the second element of seven B-17s of the 303d Group. 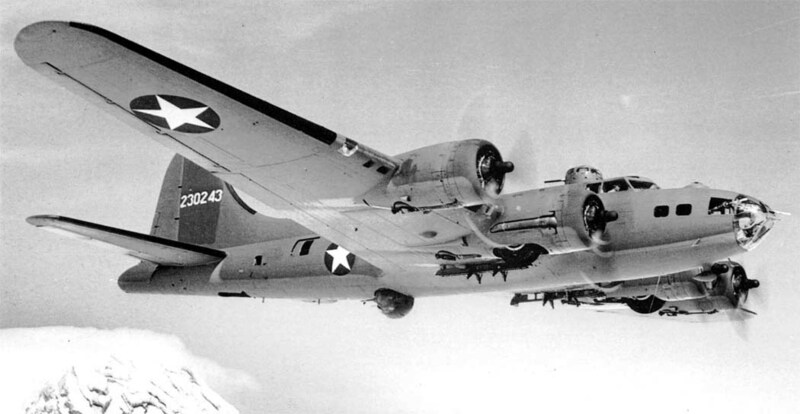 The bombardier controlled the heading of the B-17 through adjustments to his Norden bomb sight. The squadron’s bombing accuracy was dependent on the skill of the lead bombardier. As the American bombers approached the target, Mathis took careful aim at the target 24,000 feet below and opened the bomb bay doors. With his eye pressed to the Norden bombsight, Mathis was less than one minute away from releasing his bombs when an antiaircraft shell exploded near the right nose of his B-17, named The Duchess. Fragments from the shell shattered the Plexiglas nose, nearly severed his right arm above the elbow, and caused deep wounds in his side and abdomen. The concussion threw him to the rear of the nose section. Nevertheless, Mathis went back to his bombsight and accurately dropped his bombs before collapsing dead over his bombsight. Reconnaissance photographs later revealed that seven enemy submarines and two-thirds of the shipyard had been destroyed in the attack. For his extraordinary effort, 1st Lt. Jack W. Mathis posthumously received the Medal of Honor, the first awarded to an 8th Air Force Airman. Jack Mathis’ older brother, Lieutenant Rhude Mark Mathis, Jr., was at RAF Molesworth awaiting his brother’s return from the mission. He was present when The Duchess landed. Mark Mathis requested a transfer to the Captain Stouse’s crew with 359th to take his brother’s place. Tragically, on his fourth mission, he too, was killed. 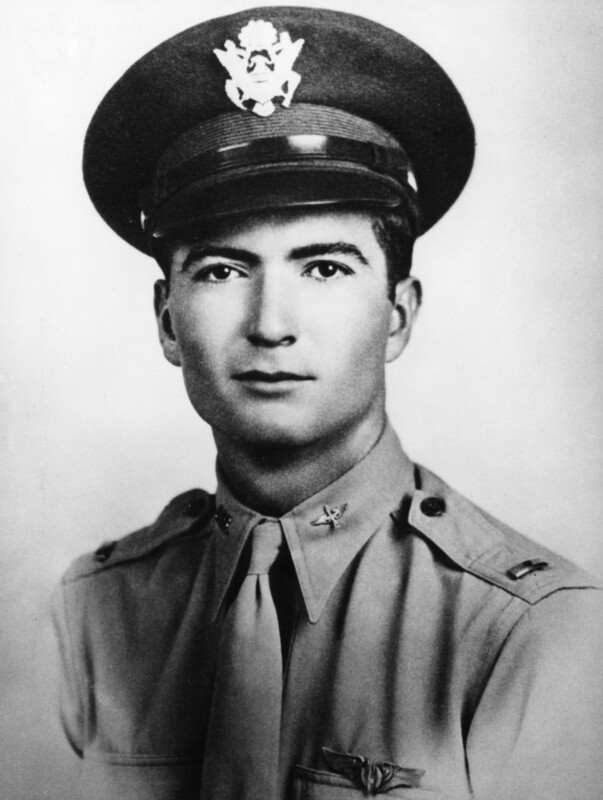 First Lieutenant Jack Warren Mathis was buried at Fairmount Cemetery, San Angeleo, Texas. His brother, First Lieutenant Rhude Mark Mathis, Jr., is buried at the Netherlands American Cemetery and Memorial, Margraten, Netherlands. Mathis Field (San Angelo Regional Airport, or SJT) was named after the two Mathis brothers. Lieutenant Jack W. Mathis’ Medal of Honor is displayed at the National Museum of the United States Air Force, Wright Patterson Air Force Base, Ohio. The Duchess survived 59 combat missions. It was returned to the United States after the war in Europe came to an end. It was scrapped in August 1945.